The pieces in this series are of various difficulties and are intended for the performance and amusement of professional musicians and skilled amateurs. Jazz pieces include an optional string bass part with added chord symbols which can be used as a rhythm section score. 1920 - That Fabulous Year! Original classic jazz composition by Bill Holcombe; arranged by Bill Holcombe, Jr.
Arr. By Bill Holcombe Listen to a sample of this arrangement: Your browser does not support the audio tag. Bill Holcombe/Holcombe Jr.; Grade Level: 3 Click the "Play" button below to hear a sample! Arranged by Bill Holcombe; Grade 4; Includes: Hark the Herald Angels Sing; What Child Is This; Joy to the World. Arranged by Nagle; Grade 5; Includes nine traditional carols in a highly stylized setting. Arranged by Nagle; Grade 5; Includes: When the Saints Go Marching In; Just a Closer Walk With Thee; Battle Hymn. Kabalevsky//Arranged by Bill Holcombe, Jr.; Grade 4; Includes: Sonatina; War Dance; Novelette; Song of the Cavalry. Vinter/Arranged by Bill Holcombe, Jr.; Grade 5 "French Horn Feature"
Arranged by Bill Holcombe; Grades 4-5; A Medley of: American Patrol; Moonlight Serenade; In the Mood. A three movement Suite depicting a simpler time in American History. 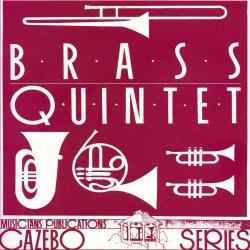 Martini/Arranged by Bill Holcombe, Jr.; Grade 4; Includes two versions with optional piccolo Trumpet in A for version 1. Debussy/Arranged by Bill Holcombe, Jr. ; Grade 4; Includes: Bruyeres and Des Pas Sur La Naige. Genna/Arranged by Bill Holcombe, Jr.; Grades 3-4; Includes: Our Cup of Tea; Fly Away. Verdi/Arranged by Bill Holcombe, Jr.; Grade 4; Includes: Requiem Aeternam; Libera Me.